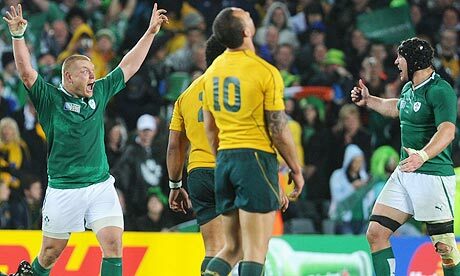 Yesterday marked exactly three years since Ireland beat Australia in the pool stages of the 2011 Rugby World Cup on a special night in Auckland. Also, with it being a year out from the 2015 World Cup in England, I decided it would be a good time to unearth a description I wrote that night from the Eden Park press box. 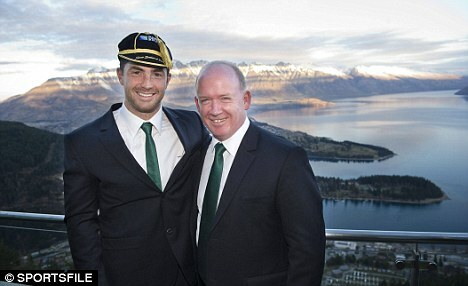 When you see three burly Maori men in All Blacks shirts sporting lime green wigs and feather boas giving an impromptu performance of River Dance just around the corner from Eden Park about an hour and a half before kick off against Australia you cannot help but think tonight is going to be just a little bit special. However, these thoughts were kicked quickly into touch when I contemplated the reality of what lay ahead. Could Ireland after such a torturous run of warm-up results and a lukewarm pool opener really do any damage to the Tri-Nations champions? Mind you I thought the team had looked pretty “amped” as the Kiwi photographer next to me put it as we watched the Captain’s run in Eden Park on Friday. The consensus amongst the Irish fans I spoke to all week was a good performance and to be still in the game with ten minutes to go would be a good result. 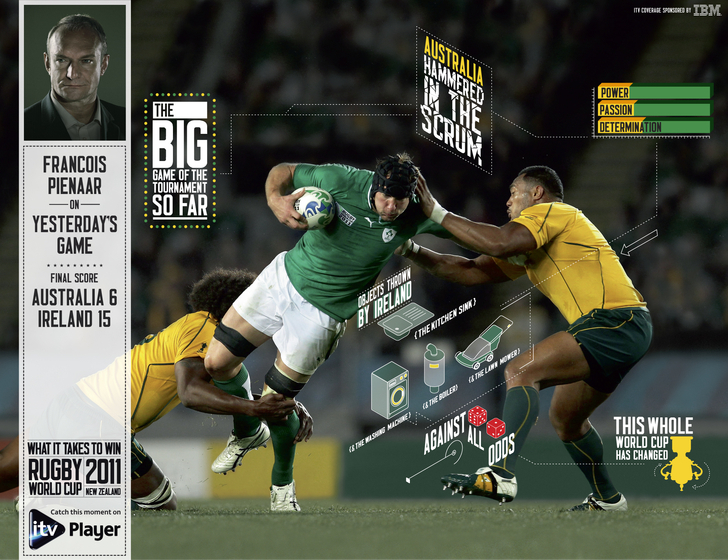 Also, the phrase “head says Australia, heart says Ireland”, was used a lot. 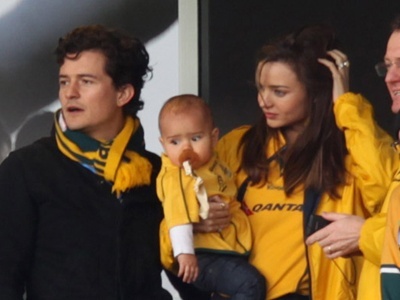 Add celebrity Wallabies fans Miranda Kerr and Orlando Bloom to their glittering back line boasting Genia, Cooper, O’Connor and Ashley-Cooper and Ireland looked to have a mountain to climb! Well, there was some amount of heart in Eden Park on Saturday night. The players had heart. The Irish fans had heart. And lets not forget the many New Zealanders who leant us their hearts in order to get one over their nearest neighbour and biggest foe. It could be considered clichéd to expound on the wonders of the crowd and the electric atmosphere. But there was a spark, I was fortunate enough to be sitting in a rather wonderful position to watch it ignite. 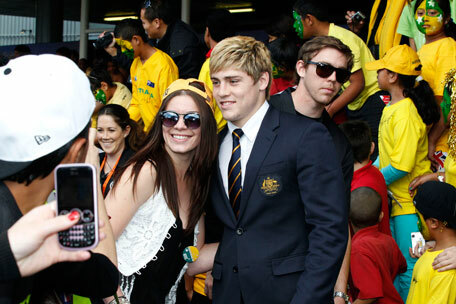 While Australia’s James O’Connor pictured here with fans in Auckland looks a little more One Direction! I was sitting in Press Box B, a glass enclosed capsule with a sea of fans sprawling out in front and to our left just across the aisle was another glass box containing Declan Kidney and members of the Irish management and coaching staff. Within metres and all within view of each other, there were three very different reactions to the unfolding drama on the pitch. The crowd of fans immediately in front of us were an assortment of Australians and Irish. Before kick off and in the early stages there was more gold visible in that section. From when Jonathan Sexton had scored his drop kick, more and more green started to bloom. By the time Ronan O’Gara had brought the score to 15-6, one fan was acting as conductor for the cheers of those around him, wildly waving a flag as a baton. The situation with the coaches and management could not be any more different. Declan Kidney was statue like, only his flushed cheeks betrayed his emotions. Amongst the journalists, there was a frisson of nervous energy. Groans and collective intakes of breath were much louder than they normally would have been. Those who were typing seemed to be hammering on the keys ten times harder than usual in an attempt to expel the mounting tension and to of course record the momentous events that would transpire. Then, it happened. It was over. 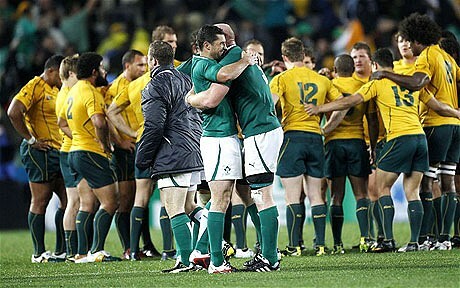 Ireland had won. There was an explosion of euphoria in the crowd. 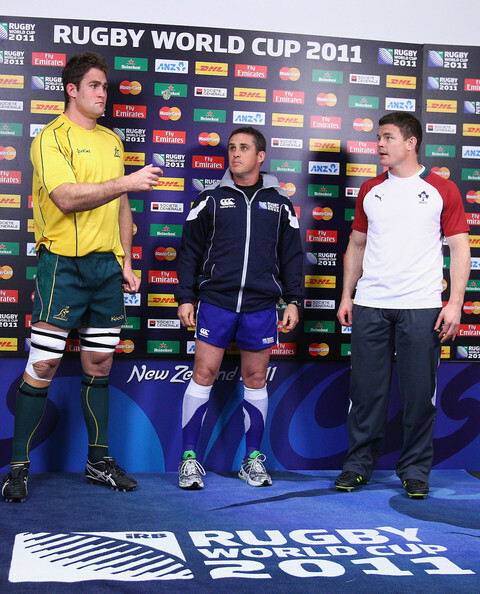 Australians drifted towards the exits. Kidney and co crumpled with joy into the corner of their box. The hacks stayed relatively quiet but I had never seen so many smiles in a press box before, gone were the mumbles of disappointment from last month in the Aviva. As they exited the field, a few players pumped their fists towards the crowds. It summed up exactly how all the Irish in Auckland felt on that magical night, whether you were a player, a coach, a fan or a journalist. Looking back over footage from this match, it is pretty amazing to see how much things have moved on for both team in three years. 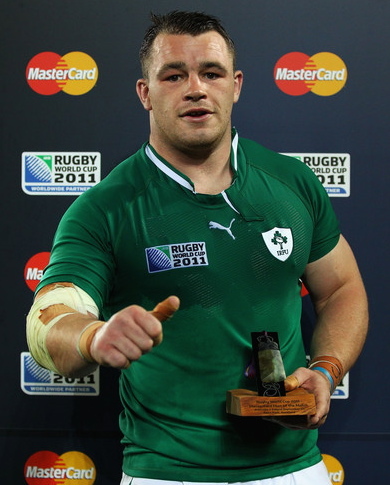 One of Ireland’s heroes from that night Stephen Ferris has had to retire early due to injury, while O’Gara and Brain O’Driscoll have both in the past year hung up their boots too. 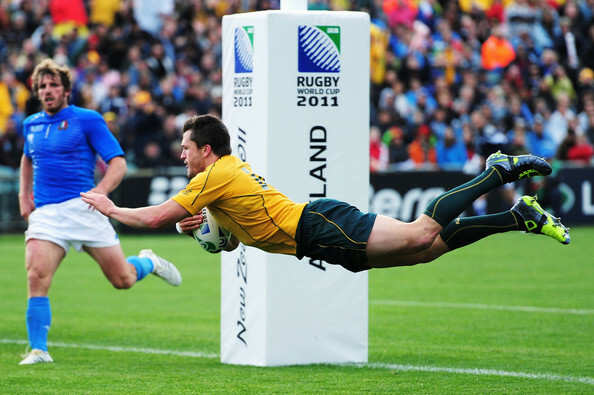 Current Wallabies captain Michael Hooper would not be capped until June 2012. From a personal point of view this match meant a lot to me as it was the first “big” World Cup match I had covered as media. It also interesting to look back and see how my writing has changed and (hopefully!) developed in the past three years.